Need Dentures But Don't Have Dental Insurance? No Dental Insurance But Need Dentures? Do you need dentures but are having a hard time figuring out how you’re going to pay for them? Dentures are expensive, especially if you have no dental insurance. Understanding all that you can about the procedure is critical to feeling more at ease with the whole process. How Much Does it Cost to Get Dentures? Dentures can cost anywhere from $1,600 to $20,000 depending on the type of dentures you need and the number of tooth extractions needed to make room for them. If you have no insurance, here are some average prices. Once you get your dentures, there may be other work that you need to get over time. This can range anywhere from $100 to $600. Below is a list of the type of follow-up work you might need, along with their average prices without insurance. Why Do I Need to Get Dentures? 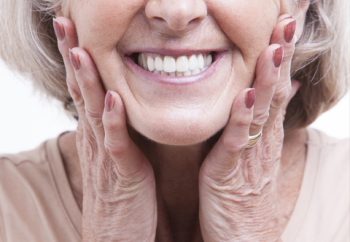 There are two types of dentures we'll mention here-complete dentures and partial dentures. Which one you will need will depend on the condition of your mouth. Partial Dentures: These are typically made to connect to the rest of your teeth. You slide them into place and then you can remove them as needed. Complete Dentures: These are needed when patients are missing all of their teeth in either the maxillary or mandibular arch. Immediate Denture: Although somewhat self-explanatory, an immediate denture is put in the very same day as having natural teeth removed. To decrease the cost of dentures, many people consider using discount dental plans like the Careington 500 Series. While this is a nationwide plan, but below is a list of savings you might see if you live in California, New York, or Texas. Consider this an affordable alternative to insurance. It’s important to keep in mind that the prices listed above only cover the cost of the dentures you need or any adjustments you may need to have. As your dentist prepares you for dentures, you may need additional work like tooth extractions. You can find the prices for tooth extractions on our website’s fee schedule under Oral Surgery. Another option not mentioned here are dental implants. These are fixed dentures as they are complete tooth replacements for your mouth. Though much more expensive, you can consider this as another option for replacing your teeth. If you are without dental insurance, consider these discount dental plans. They’ll help you cut costs and make this needed dental procedure more affordable.